"I wanted to say thank you so much for recommending Caryn Lin's program-she was amazing! Our summer audiences range in age from 4 on up, and they can be a bit antsy, but Caryn kept them engaged the entire performance, we would love to have her back!" It was such a pleasure having Caryn and Bruce here! It was an excellent presentation for kids on a very involved topic! Carynâ€™s energy was high and her love of music really showed. What a great show you performed for us, we really enjoyed it. You were awesome!! I was quite excited that your theme included STEM. Our students were able to connect your performance with their classroom activities. You allowed them to see STEM at work "in the real world" & experience live art." "Theworkshop for the Honors Orchestra was fantastic!! So glad you were able to make the trek to our school!!" "Thanks again for an exceptional job with our students yesterday!!!!!" "Not only does she perform, but she talks to the students, imparting many positive messages. Her performance is interactive, involving the students in her creative process. She also gives students opportunity to try her electric instruments and gadgets, something they never forget! It’s really a great show and opens their eyes and minds to other musical possibilities besides what they’ve been exposed to in our schools. The Kids looooved it-Thank YOU!" "We loved having her here. She’s trying to breach what some people see as a divide between classical music and modern popular music, especially on the technical side. She opens up students’ minds to the fact that they can explore, in whatever discipline they study, these connections which she makes through technology." Your music was beautiful!!! Thank you for adding to the elegance of our event. Caryn Lin was simply amazing. With over 1,300 people in the Grand Ballroom of the PA Convention Center, Caryn captivated everyone with her unique sound. She moves energetically about the stage and really fills the room with her electrifying music. Caryn Lin is an incredible musician; the way she multitasks on stage is unbelievable and the composition produced is phenomenal. Our company hired her for a “SyFy” themed event and the music fit perfectly with our theme. Easy to work with and crowd pleasing, I would definitely recommend Caryn to other companies. Caryn Lin is an extraordinarily talented and versatile musician. She transforms her exceptional talent as an electric violinist into a one-woman extravaganza! My goal was to have a talent that would cause my guests to say “WOW!” Caryn Lin delivered precisely the “WOW” I wanted for my guests. "Mia loves spending time with you. She gets inspired to try new things after her visits. Thank you!!" "As far as feedback on the lesson, I really enjoyed it. I had no idea prior to the lesson that there were so many ways to alter the sounds just through something as simple as pressing a few pedals. It was really cool being able to make my own loop. The experience was really great!" “Where do I buy your CD’s! Just saw your performance on BCC Baltimore Community College) program on TV. It was outstanding! it struck me in a manner that few pieces have ever affected me." "I must tell you how much I enjoyed your performance. I was enthralled by the way you create music unlike any other artist I’ve ever seen, and the sound of the final product. Thank you from one of your new fans!" “I loved your show at First Night, Haddonfield! I did not know what to expect, but your sound is unlike anything I have ever heard. It was definitely the best show that I have seen at the First Night Events over the years!” Thanks! It was a wonderful performance and the kids had a great time. We got lots of positive feedback.!!!!!!!!!!!!!!!!!!!!!!!!!!!!!! It was my pleasure and my honor to have you here. It was an amazing experience and the feedback from the children and educators was overwhelming. You truly provide a valuable and amazing STEM experience! We just saw your show at middlebury library. We loved the show. You are an inspiration to watch and very entertaining. I would love to give your contact information to our local library and my older son's school. I think every school should have you for a show. I loved your violin music but I was really blown away by how you involved the children engaging them to make the different sound effects/music. 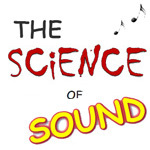 The science of sound was so easy to grasp with the visuals as well as the sounds. Your enthusiasm and energy were fantastic! I couldn’t pass up the opportunity to tell you how great your program is! It was an amazing presentation and we got nothing but positive feedback.!! Great feedback from your audience! It was great to see such a wide range of ages that day. I could tell from the dancing kids that they loved it! I also know that the kids really loved participating and to be up close and personal with the music. What a wonderful concert. thank you so much for bringing music to life for our patrons and in such a cool and interactive way. People (including me) loved your show! Thanks again for a wonderful performance! It was quite a treat to have you here!!! I will be more than happy to spread the good word about what you do! Everyone just loved your program and said they were so glad they came! I cannot tell you what an amazing impact you had on our staff and our campers! They have not stopped talking about it since you left! The fact that you presented musical and scientific concepts to them thru a variety of media was very 'attention-grabbing', entertaining, and 21st century! Your musicianship was not overshadowed by all the 'extras' -- it was enhanced and both the campers and students recognized that! Not to mention that you are incredibly engaging with the audience and that really drew them in! Thank you for challenging our advanced students -- you made them realize that there really are no limits anymore to what an instrument can do! "We got excellent & positive feedback from the students. They had a great time & the balance of performance & interaction was just right. Thanks again for the great work you did with our students. " "Caryn Lin is one of the most interesting violin players we know." "Unlike the music defined by geography and politics or the sound corralled by pure genre, Lin's only limits are those of her electric violin." "Lin does intensely melodic work." "When you think of musicians with electricity surging through their veins, you usually think of rock'n' rollers jamming on guitars. But Caryn Lin would string you up for your narrow-mindedness-----she's an electric violinist full of voltage." “Caryn Lin has written some truly original music. Tremendous! Sparkling before that enthusiastic crowd, Caryn Lin is doing a fantastic service for music and those kids are eating it up. I have rarely seen young students so vibrantly enjoying and participating in music programs. You were absolutely amazing! All the teachers I talked to throughout the day said you were one of the BEST programs ever brought to Penn Valley! You had the kids so engaged the entire time and they were loving your performance, your music, your story and your lessons in science, engineering, and life! Thank you for a great assembly. The teachers and kids could not say enough about it. It was a big hit with our entire school!!!!!!!!!!!!!!!!!!!!! Thank you so much for a truly awesome experience today at Newtown Elementary School! Our students and teachers were absolutely entertained and uplifted by your fabulous presentation. Your violin playing was magical, your graphics and humor were totally amusing and attention-grabbing, the science was fascinating, your audience participation and engagement was awesome, and your overall message was inspiring. This was honestly one of the best assemblies I've ever seen for elementary children and it was an honor to have you perform at our school. Thank you for providing the students (and staff) such an amazing experience last week at your two assemblies! Everyone I spoke to just raved about it! Caryn Lin’s Science of Sound was by far the best assembly we've had here in years! She was amazing!! Caryn's assembly was one of the best we have ever had at our school! Her engaging pace, excellent musicianship, positive message, and use of multi-media made the entire presentation outstanding. We were able to make many connections in music class after the performance, and you could see excited expressions on the kids' faces when she made so many science connections. Her use of humor throughout was also great! We loved having you and Bruce help teach our students about the science of music! You were absolutely amazing and our students, parents and staff thoroughly enjoyed your presentation. You guys ROCK! I would LOVE to have you come back to our school. You came to us last year, and it was so well received I had to teach a science of sound lesson after. I really appreciated you sharing your story about how you almost didn't play the violin--if they take anything else away, I hope its that--to not let anyone discourage you from your dreams. Thanks so much for sharing your awesome gift. Our eleven public elementary schools had the great fortune of enjoying Caryn’s program “The Science of Sound”. The shows were met with rave reviews and we were impressed by how masterfully Caryn (and Bruce!) presented a content-rich performance with a seemingly endless supply of energy, enthusiasm and FUN! It was a unique glimpse into a fascinating intersection where music and technology meet which offered students an opportunity to think in a whole new way. Her engaging performances will not soon be forgotten! Thanks, again, for coming out and putting on a great show for the kids! Everyone loved you!!! The kids loved it and the staff was amazed!!!! Thank you so much!!!! Thank you! Thank you! You were Ammmmazzzing. Mrs Currier, the principal wrote me a note right after your 2nd show that said - "teachers loved it, kids loved it, feedback was excellent!" I have NEVER received a note like that from the principal. The music you played, the information on vibration, the interactivity - all was so well received! So- thank you for teaching and sharing your talents and positive messages with the students. You and Bruce rocked. We were very rewarded and enriched by your performance!! As parent volunteers, we enjoy coordinating the assembly programs but are always slightly anxious about how the students and teachers will receive our choices. Your performance was applauded by both of our primary critics. So, we can happily say…The Science of Sound was a hit! Thank you for sharing your time, talent, and knowledge with our community. You were great! The kids are well behaved because they were mesmerized! “The kids were indeed awestruck. Thanks!!!! THANK YOU!!!!!!!!!!!!!!!!!!!!!!!!!!! We are so lucky to have had you play at our school! The kids loved it; thank you for enriching all of our lives. The greatest strengths of this program were the educational aspects and scientific insight into the science of sound & how she added the electric guitar pedals to the electric violin. Bruce & Caryn are true professionals & the amount of time & energy they put into this assembly was phenomenal. The children of all age groups were attentive, excited & learned a great deal! We were so happy that she was here! We really enjoyed having you at Inglewood, and my students couldn't stop talking about your performance! Thanks again for being such an inspiration! I hope to work with you again in the future. Krista Feliciani, Music Teacher 215-368-2992. Everyone LOVED the show!!! I got so much positive feedback. “It tied into S.T.E.M. perfectly” and “the music was amazing!” I’m so happy we got a chance to have you come down and perform. It was great meeting you too and we’d love to have you come down again J Thanks for everything! Caryn, you've got a great show! I got very positive feedback from the teachers, who said that the students, k-5 just loved it. It had a wonderful mix of facts & fun. I loved her and the performance! That was the best assembly yet! The presenter was excellent with the kids. Endless thanks again for an AMAZING show today! Got LOTS of boys still talking about it and loving it all. It was great to have you here, your program was really just perfect for our kids. They loved it! I enjoyed it very much as well. Caryn was FABULOUS! I have to tell you this was the first assembly we've had as a whole building (my kids have significant behavioral issues) and they were silent! Absolutely attentive to her presentation. It was honestly heartwarming. Thanks for a divine, perfect performance for the 4th time! The students and staff loved your performance! Thank you so much for sharing your extraordinary talents with us once again! The teachers expressed how much they and each of their students enjoyed everything. Involvement with the audience is a sure strength in your talents. Your empathy concerning bullying and your strong 'can-do' message spoke volumes. Your presentation was amazing - even better than I remembered. The visuals on the screen were a great addition! Thanks again for making the journey to Hillside - we LOVED it! !